If/then statements are everywhere in mathematics, coding and life. They create the conditions for how our websites behave and frame the deductive reasoning we do unconsciously all the time. If/then statements are also a crucial component of lead nurturing as (at least automated nurturing) is largely based on a set of conditions being met and those conditions triggering an action being taken. The behavior of your leads needs to impact your business' behavior as well, and a holistic If/Then marketing strategy gives you that. This article will give you five simple If/then statements to better nurture your leads into sales. I’ll also give you email templates, landing page guides and workflow recommendations, as well as explaining the how and why behind each of these lead nurturing strategies. This is the simplest If/then strategy I’ll get into in this article, and it’s the basis for many lead nurturing email marketing campaigns. 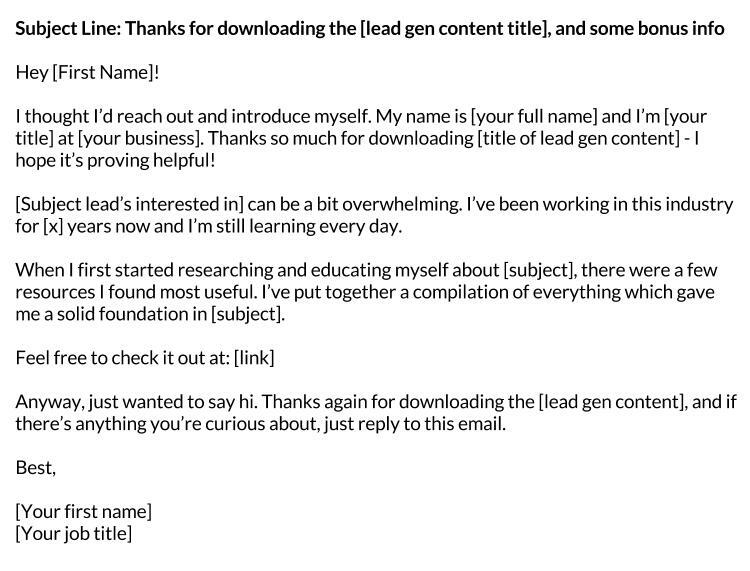 If one of your website visitors becomes a lead on an opt-in page, it’s safe to say they’re interested in the subject of the content they converted for. For instance, let’s say your lead finds your website by typing “Complete Guide to Landing Page Optimization” into Google. They click on your link and are sent to your ebook’s landing page. They’re sold and convert on the form on the right side. Downloading that ebook has told us what subject they’re interested in and now we need to, in a non-salesy way, make them aware of how awesome our product is and how it will help ease their pain points. So let’s send an optimized drip campaign of educational content to deliver value, create trust, and eventually sell them on our business. This email template is personal. It’s warm and delivers value as well as starting a relationship with your lead. The drip emails (check out my article on creating drip email campaigns for the full tutorial) follow-suit: they’re friendly but educational. And, over the course of a couple weeks and 5-8 emails, they make your lead more and more aware of your business and what you can do for them. Once they click through on the final email of the drip campaign (“Let’s set up a time to talk!”) they’re removed from this early-stage campaign and moved up a notch. 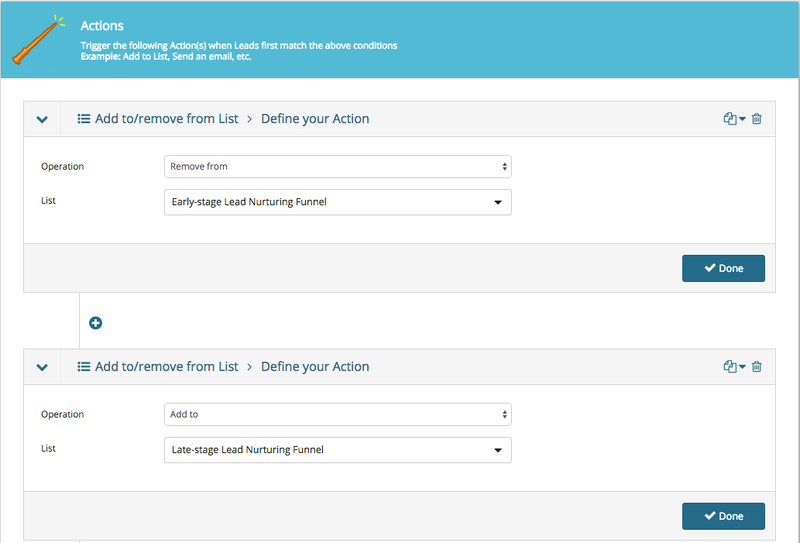 As you can see, they're then added to a late-stage lead nurturing funnel, which would deliver sales-related content like case studies, buyer's guide and competitor comparison tables. What if they don’t click through on your sales email? Whatever you do, don’t let them slip through the cracks. You’ve put all the effort, time and money into generating and nurturing this lead, don’t let a simple thing like not opening an email take it away from you. If your lead doesn’t click through on your sales email - decides they’re not yet ready for a VIP demo or free trial - you need to have a backup plan. Add them to a blog subscriber list and send touching-base emails every few weeks (you can do this manually) with an update, new feature, new sale, or just saying hello. Push the envelope: Send the same email the next day, saying you weren't sure if they received it or that your email marketing platform had a glitch. Alternatively, send an “oops” email apologizing for “accidentally" sending the wrong link in the original email. Essential Tip: Remember that someone needs to be monitoring the “from” email addresses of these automated emails. There’s no point in trying to drive a personal relationship with “don’t hesitate to drop me an email” if nobody’s ever going to see if they have. Remember, the conversion rate of someone who has had a one-on-one conversation with a brand representative will be hugely greater than one who hasn’t. Webinars are a fantastic way to nurture leads. They put a personal face on your business and are easy to make a bit salesy. Not to mention the fact that a business who can pull off a professional webinar (sound, video, script, registration, Q&A, etc) develops a reputation for knowing their sh*t.
So when you next run a webinar, don’t just let the attendees drop away into the obscurity of your “miscellaneous” contact list. Instead, record a “thank you for attending” video and send it the day after the webinar to all attendees (send an “on-demand” version of the recorded webinar to the registrants who did not attend). 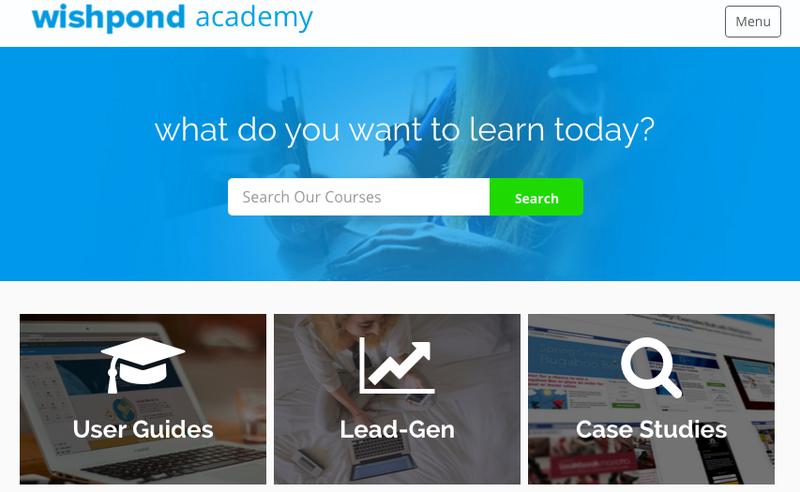 Prompt a secondary conversion on the same subject, Wishpond uses our online marketing academy. The value of an academy service is that your business becomes (even more than a blog) the go-to source for the solution to your lead’s problems. And remember, “the solution to your lead’s problems” is not a bad position to be in when you’re looking to sell them something. We’ve already discussed why webinars are such great lead nurturing tools, and a subscriber-only webinar is even better. “Subscriber-only” puts your new leads into an exclusive club (and people love being part of exclusive clubs). It also shows how much you value them and how genuinely interested you are in their success. My recommendation would be to run a webinar which discusses improving a general outcome addressed by your service. For instance, although Wishpond’s platform covers lead generation through contests, landing pages, popups and forms, rather than focus on any one of those I’d run a subscriber-only webinar which focuses on lead generation in general. This increases the chance of my subscribers being interested and boosts attendance. 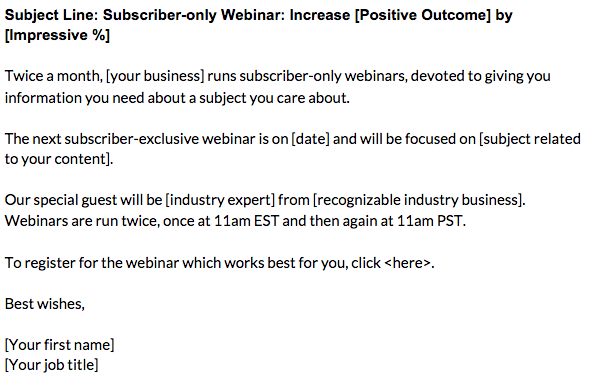 The only issue with subscriber-only webinars is that you need a tidy little pile of subscribers to make it worth your while. Only test this if you’re pulling in at least 50 subscribers a week, and be sure to re-purpose your content to maximize the ROI (as in, don’t create a brand new webinar every single time or you’ll soon be exhausted or, worse, bored). Somewhat aggressive tip: Sneak a fellow marketer or colleague into the Q&A period of your webinar to anonymously ask a sales-based question and get things flowing in that direction. Less aggressive tip: Be sure to implement a countdown timer in your webinar’s landing page. Timer’s create urgency and encourage visitors to “act now” instead of putting it off ‘till never. For more on the effect of countdown timers, check out our Feature Release: A Countdown Clock for Extra Conversions. The whole value of marketing automation is getting a better idea of how your customers and prospective customers are behaving, and optimizing the way in which your business responds to that behavior. In other words, you want to hit your leads with a sales pitch when they’re at they’re most interested. You want to nurture them when they need nurturing, leave them be when they want to be left alone, and be there if they’re confused. One of the best ways to do this is to implement a comprehensive lead-scoring strategy. Now, this isn’t as hard as it sounds. It starts with the pages of your website. For instance, your about us page: why would anyone go to that page if they weren’t interested in your business? 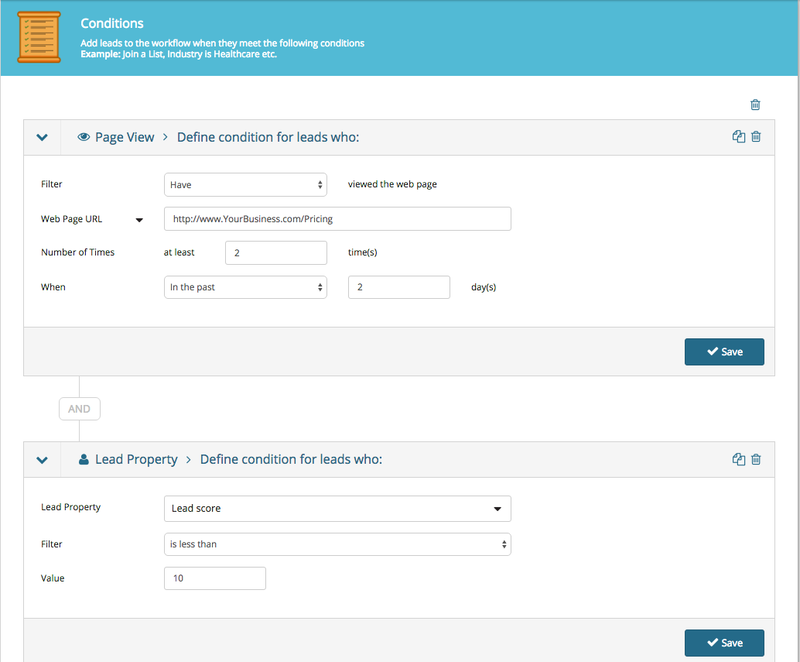 With lead scoring, you can change their lead profile based on that behavior. You can do the same thing with free trialers after they’ve published their first campaign, with long-term customers on their 2-year anniversary, even with visitors who came straight from a PPC ad vs organic traffic who visited your blog first. The best example of this, perhaps, is your pricing page. There’s no reason for someone to visit your pricing page if they’re not interested in your prices. There’s definitely no reason for them to visit it twice in two days if they’re not considering a paid plan. You might be wondering why I’m setting the leadscore to 342. Good question. One of the best ways to trigger a single event which you don’t want to be triggered spontaneously is to set a leadscore, rather than increasing or decreasing it by X number. 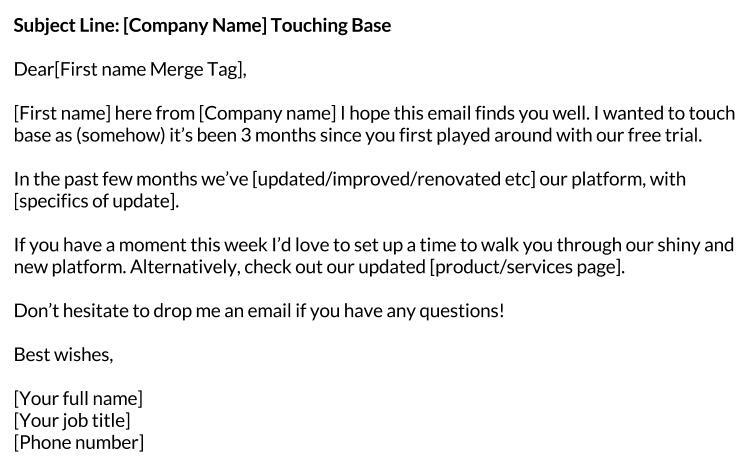 We don’t want our leads “stumbling across” a pricing page email trigger by engaging with our business in some other way. If our email says “I see you’ve taken a look at our pricing page,” we want to be 100% sure that the lead has taken a look at our pricing page. That said, you can absolutely set lead score increases for positive behavior of leads (such as campaign completion, time as a loyal customer, etc) or decreases for negative behavior (such as inactivity, unsubscription, etc). Hopefully these five If/Then ideas will help you understand the possibilities of lead nurturing a bit better. Remember this all needs to be tested (particularly my somewhat aggressive recommendations in the middle there). And if you have any questions about your own If/Then strategies, get the conversation started in the comment section below!